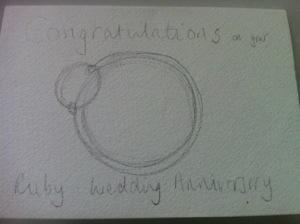 I started my outline for an anniversary card. I didn’t want to rush trying to finish it, so will do that properly tomorrow. This entry was posted in Pencil. Bookmark the permalink.